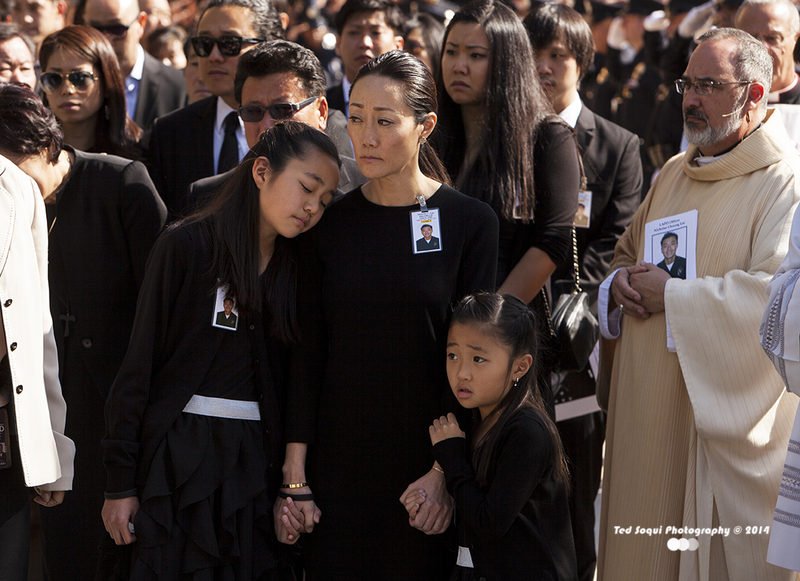 Memorial services for LAPD Officer Nicholas Choung Lee were held today at the Our Lady Queen of Angels Cathedral in downtown Los Angeles. 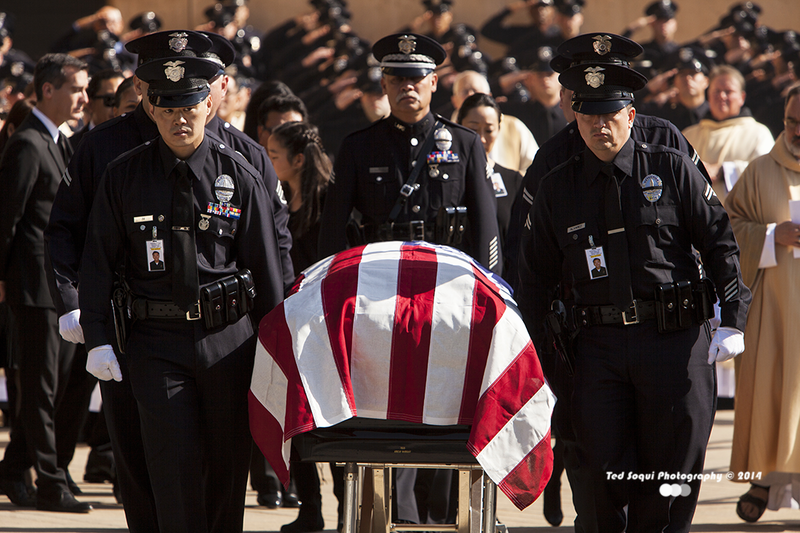 Office Lee, who joined the force back in 1998, was killed in a traffic collision last Friday March 7, 2014. 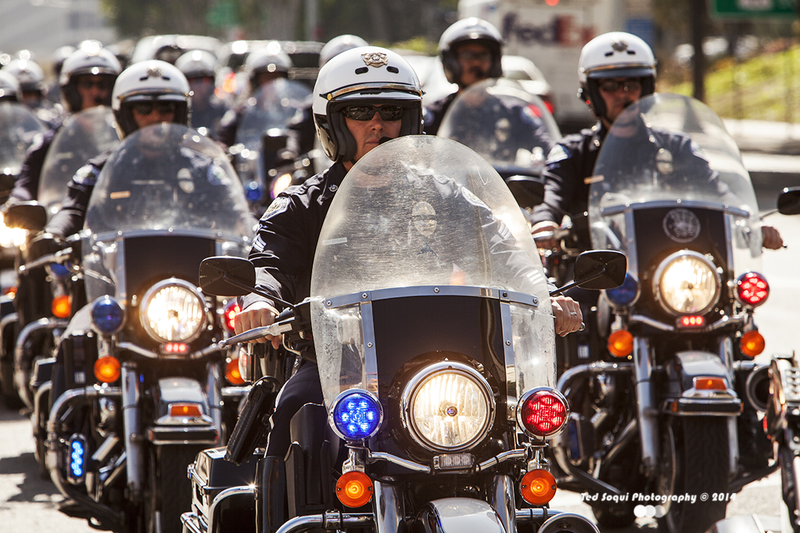 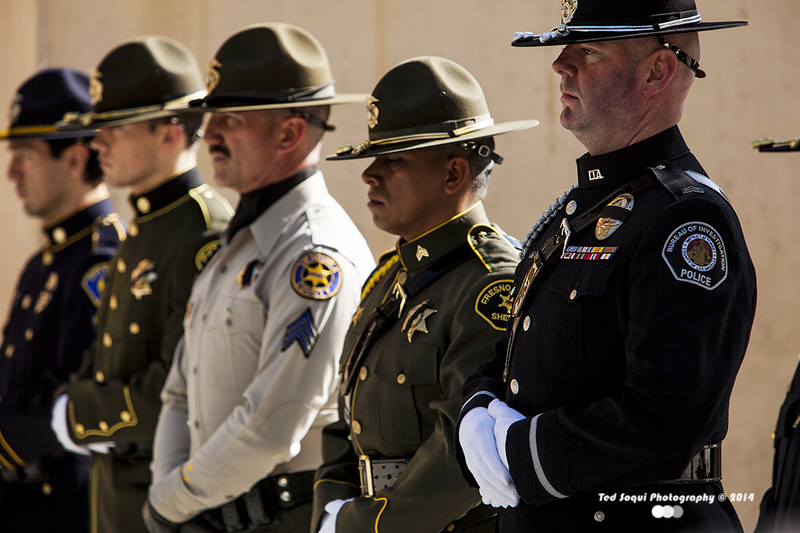 Thousands of law enforcement officers from all over California and members of the public came out to honor officer Lee as he was laid to rest at Forest Lawn Memorial Park.